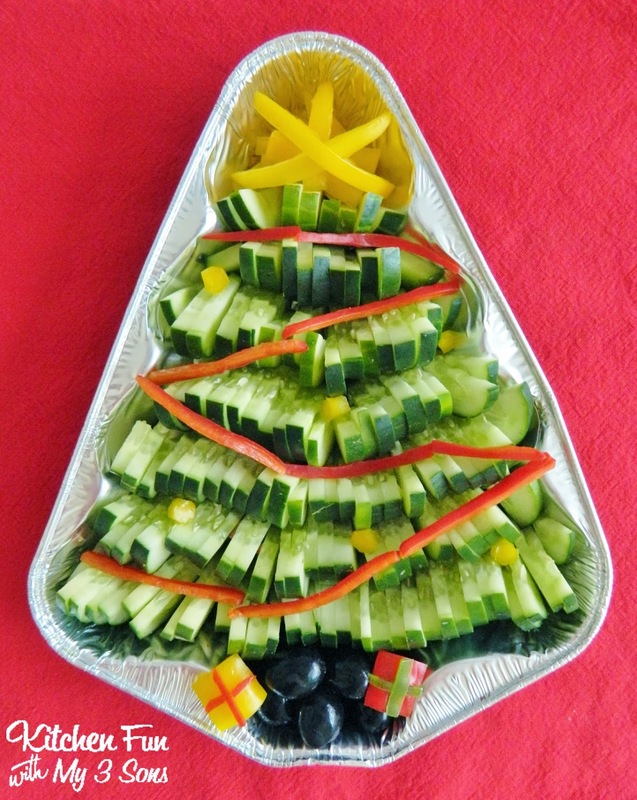 We created this fun Veggie Christmas Tree idea for NBC’s recipe site Dinnertool.com. This is a great idea for Christmas parties & the kids gobbled this up at one of my boys class parties at school! Made with veggies that most kids will actually eat! Made with sliced cucumbers…also decorated with black olives & bell peppers! 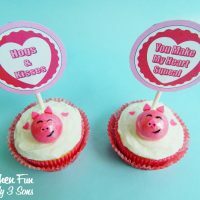 Easy Valentine Piggy Cupcakes with FREE Printables! 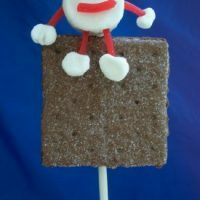 Humpty Dumpty sat on a S’mores pop! Presents under the tree? You think of everything! Merry Christmas! 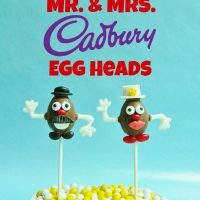 What a great idea for a Christmas snack! Very cute! How very creative of you!!! Now you are talking! I am soooo sick of overeating sweets from Christmas that these veggies look soooo good!! !